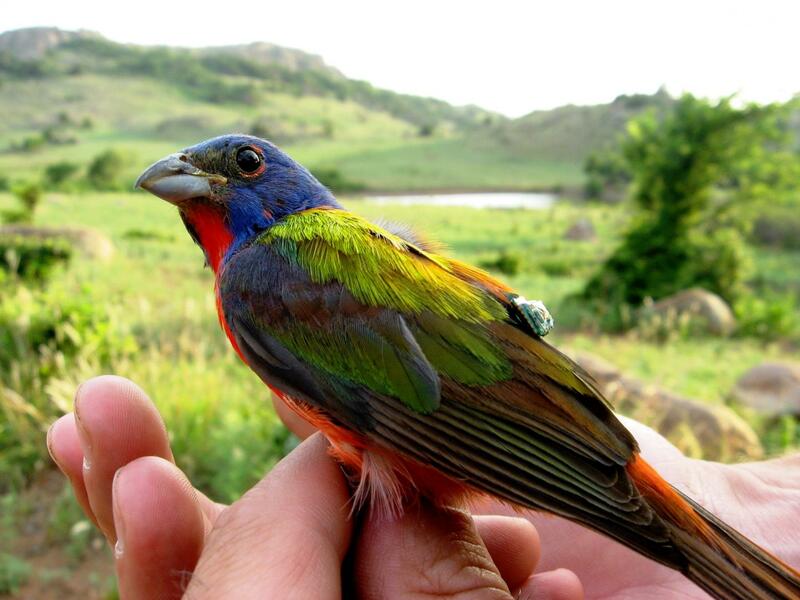 A University of Oklahoma researcher, Andrea Contina, and his team have identified the genetic structure of the Painted Bunting, a neotropical migratory songbird, using microsatellite DNA and single nucleotide polymorphisms to develop high-resolution markers to differentiate between individual birds breeding in different Oklahoma populations and across the United States. Through this research, Contina and his team now can differentiate between the eastern and western Painted Buntings and identify the species pattern of migration and population of origin. "We combine molecular genetic research and conservation biology to differentiate between Painted Bunting populations and individual birds that migrate across several countries for breeding in the United States during the summer, then migrate to Central America for wintering where often they are captured and sold in the international avian pet market," said Contina, a National Science Foundation, National Research Traineeship postdoctoral fellow. "Genetic markers allow us to differentiate where the birds come from after they are sold." Contina and team members from the Oklahoma Biological Survey; OU Department of Biology; Colegio de Postgraduados, Mexico; Department of Ecology and Evolutionary Biology at the University of California Santa Cruz; and University of California Los Angeles are working in collaboration to better understand why certain Painted Bunting populations are declining. The genetic research conducted by the inter-institutional team has international relevance and can be used in future investigative studies. The Painted Bunting breeds primarily in the United States during the summer and migrates to Mexico, Central America, southern Florida and the Caribbean over the winter. Male Painted Buntings are brightly colored, which makes them highly sought after as pets, particularly in Mexico, Central America and Europe. Pet market birds examined in the published study are most likely from the Central breeding population in the United States. One bird can sell for as much as $800 in the international avian pet market. An OU research paper, "Genetic structure of the Painted Bunting and its implications in conservation of migratory population," has been published in IBIS–International Journal of Avian Science. Support for this research is provided by the National Science Foundation (Grant Nos. IDBR 1014891 and DEB 0946685) and the United States Department of Agriculture (Grant No. NIFA-AFRI-003536).